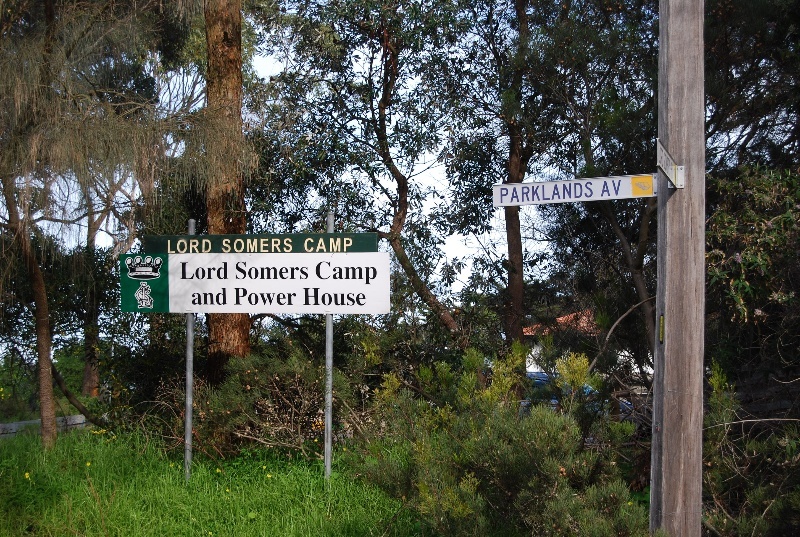 The Lord Somers Camp was established as a recreation camp for teenage boys by the Governor of Victoria, Lord Somers in 1929, with the first camp held at the purpose-designed site in Somers in 1931. Lord Arthur Herbert Tennyson Somers was Governor of Victoria from 1926 until 1931. He was inspired to create the annual camps after hearing of the Duke of York camps in Britain, which were held from 1921. Both men were concerned about class differences and wanted to find ways to break down prejudices and build understanding between young people of different backgrounds. They believed that by bringing the boys to live together for a week, they would take this new-found understanding of all members of society with them into adulthood. The first Lord Somers Camp for Boys was held at the Scout camp at Anglesea River in January 1929, with forty teenaged boys from public schools and forty boys from working-class backgrounds invited to participate by Lord Somers. Anglesea Scouts were given the role of 'Slushies', who performed the chores, so the holidaying boys, known as 'groupers', were free to play sports and organised games in the healthy outdoor environment, away from the city. The camp had only one rule, to 'play the game', and after competitions the winners would applaud the losers. An association in Melbourne, known as Power House, was formed so that the boys could maintain the connections established at the Big Camps. Such was the success of the first two camps that it was decided that a permanent site should be found, which was close to the beach, secluded but within easy reach of Melbourne, and with flat land for sports fields. 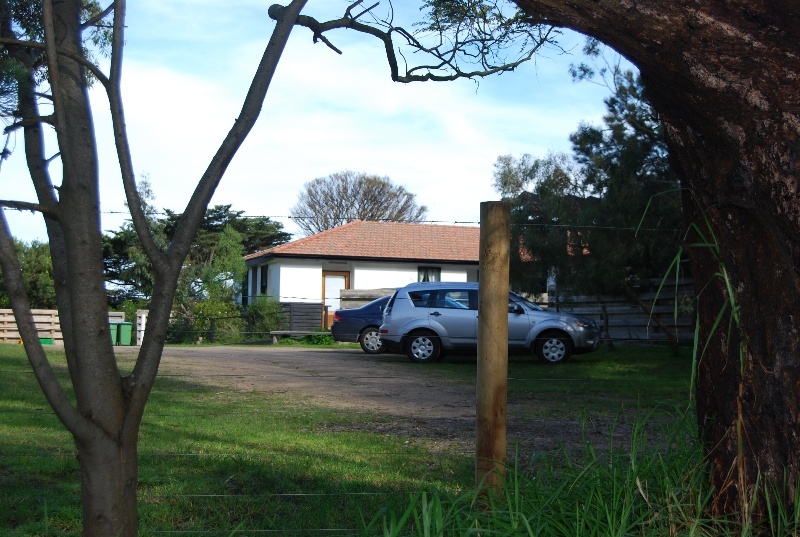 The site at Balnarring East was on land donated from the Coolart estate (H0759). The town planner Saxil Tuxen surveyed the site and Arthur Stephenson of architectural firm Stephenson & Meldrum designed the camp buildings to be of a simple, rustic appearance to blend with the landscape and to encourage a close-knit community. The buildings, including a large dining hall and several dormitories, formed a square around a central parade ground. The camps encouraged respect for the monarchy and patriotism, and there were regular services held at the Bush Chapel. The first Big Camp at this site was held in 1931, and was the first with co-founder Dr 'Doc' McAdams as Camp Chief, a position he held until 1954. Somers returned to England in 1932, but kept close contact with the camp and Power House members. Aside from a break during World War II, the Big Camps (and later Big Camps for Girls) have continued to be run annually at the site. 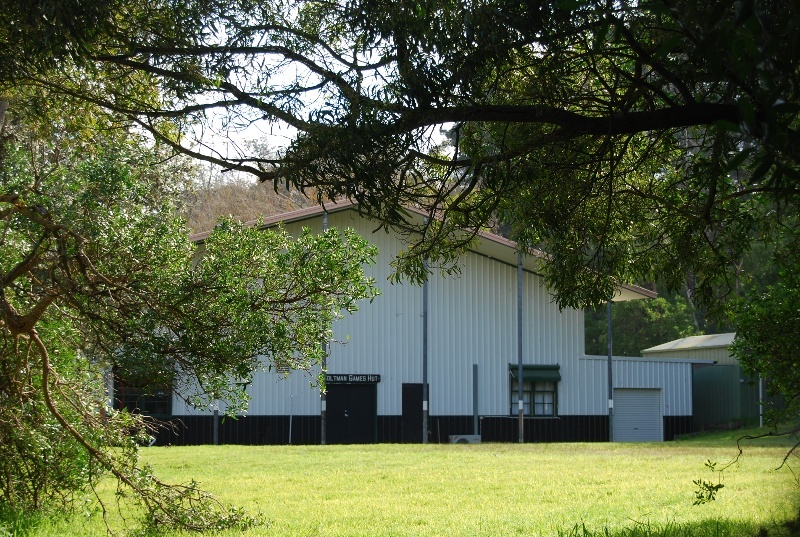 Lord Somers Camp site is located in a bush setting, near a creek and the beach, and consists of single-storey accommodation and communal buildings situated around a parade ground. Though most of the original buildings have been replaced, new buildings have been constructed in a sympathetic manner, retaining the simple, rustic appearance of Stephenson's design. The original dining hall features exposed timber beams, timber wall panelling, fold-down trestle tables, a large stone fireplace and a war memorial plaque. It has a small mezzanine level from which films were projected to the outdoor cinema screen. The one remaining original dormitory building contains small bedrooms and bathrooms opening off a narrow hallway with a timber dado. The central quadrangle and parade ground with flagpoles remains, and the larger dormitory buildings and an office building which surround it were constructed in the 1980s. The site is part of the traditional land of the Kulin Nation. 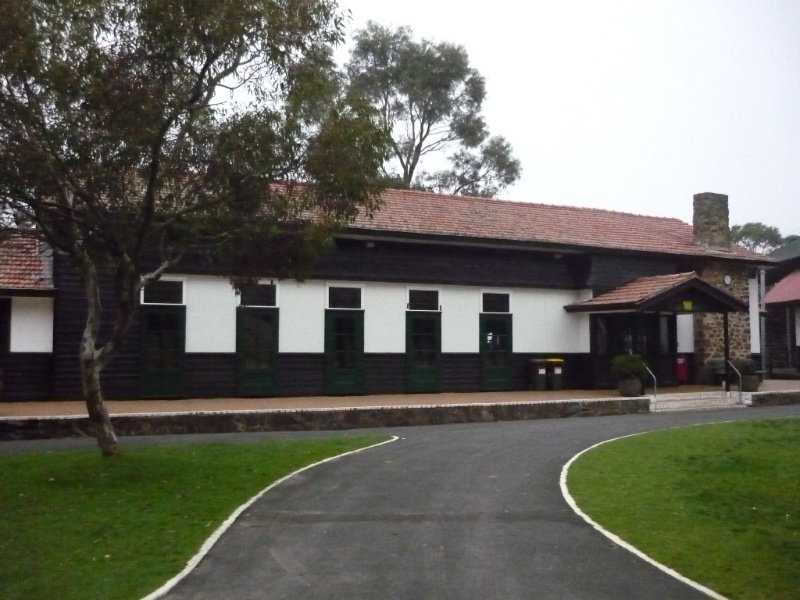 Lord Somers Camp is of historical significance to the state of Victoria. Lord Somers camp is of historical significance as a demonstration of the rising concern in the interwar period about class differences and the impact of childhood experiences on adulthood. The location and bush setting of the camp is significant for demonstrating the ideal of the mental and health benefits of a natural setting away from the ills of the city. It is also of significance for its association with Lord Somers, Governor of Victoria between 1926 and 1931. 1. 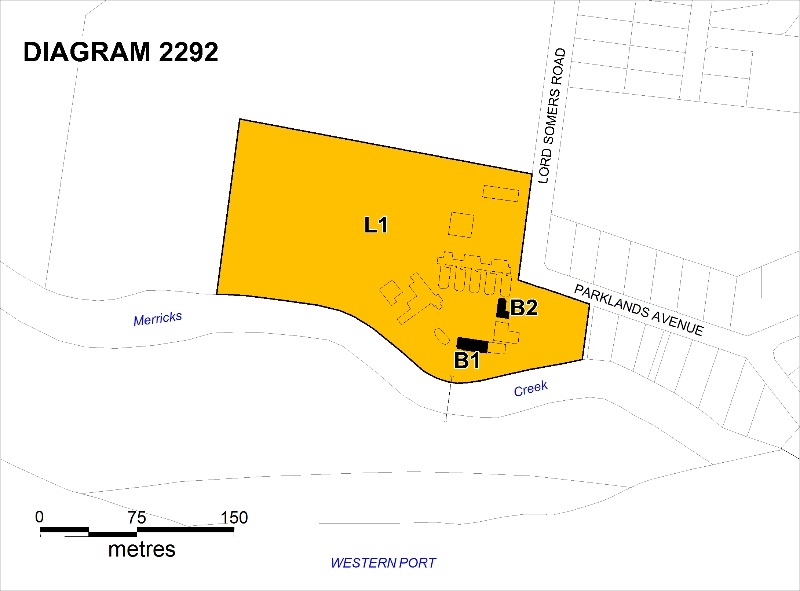 All of the land marked L1 on Diagram 2292 held by the Executive Director being all of Lot 3 on Lodged Plan 44381, Lot 1 on Title Plan 409493, Lot 1 on Title Plan 4604, and Plan of Consolidation 100349. 2. All of the buildings marked B1 and B2 on Diagram 2292 held by the Executive Director. The Lord Somers Camps, which brought together boys from different classes to encourage social harmony, were based a series of camps held by the Duke of York from 1921. The camps were based on the premise that through living together, boys would see their similarities rather than their differences and carry this understanding with them into adulthood. Governor Lord Somers established the camps in Victoria in 1929. The Duke of York (later King George VI) was interested in industrial relations and was the first president of the Industrial Welfare Society. He was concerned with making a better understanding between young people of different backgrounds, and came up with the idea of a camp at which an equal number of boys from public school and from industry would spend a week together. The concept was that only by living together together, could the boys properly learn about each other. The first of these camps was held in 1921 in Romney. One hundred public schools and one hundred industrial firms were invited to each send two boys between the ages of 17 and 19 to come to the Duke's Camp as his guest. The camps continued for 17 years, but were not held again after World War II. Lord Somers met with the Duke of York when he travelled to Australia in 1927, and it is likely it is during this meeting the Duke of York camps were discussed. The first two camps were held at a site in Anglesea. Lord Somers had connections with the Victorian Scouting Movement, and it was with their assistance that such a camp could be run, with the Anglesea Scouts acting as helpers, known as 'slushies', to free the boys from fatigue duties. 'I am thinking of starting a camp here similar to the Duke of York's camp at home for public school and industrial boys. It would take place at Christmas, as a start we would have 100 boys for a week. It might do good to break down a few prejudices'. The primary purpose in this camp of bringing together forty boys from the public schools and forty boys from factories and other industrial undertakings is admirable; exchange of opinions and experiences must pave the way to a better and deeper understanding. On this basis harmony is built (by) emphasis. The boys are taught . that the other fellow has his point of view; that only by mutual concessions are reforms affected, progress made and a fine community spirit realised, and that stupid and snobbish class distinctions are the breeding grounds of distrust and enmity. Inspired by these ideals the two camps already have been an undoubted success. Why, then should not this get-together movement be applied on a wider scale? Why should not other cities follow the lead set by the state Governor and provide means whereby boys from various walks in life could meet on an equal footing, discuss their problems, and by these means make the way easier for grappling with the bigger problems later in life? Much of the industrial bitterness and strife which have disfigured the industrial history of the Commonwealth, particularly in recent years, would have been avoided if the opposing parties had absorbed the simple lessons taught by these boys camps; many a dispute would have been settled at a round table conference in a frank and generous discussion of the issues involved. The get-together movement, as we have pointed out, has proved an unqualified success with the boys. How much greater would this be if labour and capital gave it a sincere trial. The first camp was held at the Scout Camp at Anglesea. Activities throughout the week included film screenings, football matches, swimming, church services, an aviation display, sports competitions and fireworks. The games which were the same eighteen games as on the Duke of York's Camp schedule were to commence on the Monday and to comprise the 'foundation upon which the ultimate success of failure of the week of Camp will depend.' The emphasis was to be on each person given of his best to their team and finishing 'all out'. Detailed routines for all aspects of Camp life were established, many of which still prevail today in the Camps at Somers. The first two camps were deemed such a success that the association, Lord Somers Camp and Power House (formed by the old boys of the camp) decided to find a permanent site for subsequent camps. It was to be a rural setting, within easy reach of Melbourne, with water frontage and access to a creek. Such a site was found in Balnarring East (now Somers), with land donated by J.S. Feehan, the owner of nearby property Coolart (H----). A number of prominent businesses donated money for the buildings, including Felton Grimwade, GJ Coles and AM and GR Nicholas. Saxil Tuxen, town planner (see above), surveyed the site, and Arthur Stephenson of Stephenson and Meldrum, designed the buildings. They were to be rustic in appearance, and in keeping with the rural setting were of rough timber. Stephenson had visited camps overseas and the idea of 'close-knit' community influenced his design of the camp. The first Big Camp at the new site was held in 1931, and was the last camp for Lord Somers as Governor of Victoria. It had been his wish to build a permanent camp and to see it functioning before he left for England. A special camp was held on the weekend of June 12-14, his last weekend in Victoria. At his farewell speech, he requested that the 'annual camp be used exclusively for the bringing together of new boys who have not yet met each other and who, through having some common experience together, may form some acquaintance which later will mature into real friendship and mutual respect. Somers promised to return for Big Camp 1933, a promise which he, perhaps somewhat unexpectedly, fulfilled. He also returned in 1937, and for years maintained close contact with the camp, sending gifts and money and welcoming members of the camp at his residence, Eastnor Castle, Herefordshire. The 1932 Big Camp maintained the vice-regal connection, with invitations to boys being issued by Sir William Irvine, Chief Justice and Lieutenant Governor in the absence of the Governor. Doc McAdam noted 'Tomorrow you will go back to your normal lives, but, we hope, freed from prejudice, the stumbling block of present day existence, and with a determination to regard all men as worthy of help and respect.' The Argus wrote of the 'Slushies' as the embodiment of the effectiveness of the camp, who attended to the washing-up, waiting at tables and the general kitchen work of the camp. 'Incidentally, they organised much of the fun, and by their example, demonstrated to the new boys the spirit of the camp and the Power House. 'I want to say something about the spirit and the organisation behind these Camps. In the first place they are not a welfare movement, though they do undoubtedly result in the boys benefiting from the open-air life. Nor are these camps designed with any material motive. Our aim is to change and improve the mental attitude of the boys to each other - to beget a state of mind in which the two sets merge in other. As the period of the Camp is short - only one week - every effort is made to give the boys full scope for recreation and play. We do not wish to give them a busman's holiday and saddle them with numerous domestic duties, and so they are free of nearly all these, and can devote the whole of their time to themselves. We wish too, to give them absolute freedom with as little hampering discipline as possible, as so long as the simple rules of the Camp, such as punctuality at meals and so on are observed, they can do what they like. The Group Leaders take charge of the organised sports, and as each group is composed of boys from both school and workshop, unity is preserved. Superficial differences in worldly property vanish at the Camp; you can't tell one from the other; a feeling of comradeship in a common life manifests itself; a spirit of loyalty to each other, and the ideals behind the camp quickly emerge [.] The Power House is the continuation of the Camp. Every boy who attends the Camp becomes automatically a member of the Power House. [. when a boy] graduates to the Power House he begins to imbibe the spirit of service and to learn that he has responsibilities, both to himself and to others. A building in the Albert Park [.] where boys are able to meet again and renew old friendships, and thus lay a permanent foundation for the future. Working together in the common cause - to spread the spirit of the Camps throughout the community, to wipe out blind prejudice and to banish strife, class-consciousness and misunderstandings. Phil Roden, who had come to the Camp in 1933 from Melbourne Grammar, and went on to be a Slushie, Editor of Summer's Times 1939, and was a practising lawyer and served with the AIF, was chosen by Dr McAdam as his replacement. He served as Camp Chief from 1954 until 1959. Sporting Clubs in 1950s. - 'whilst they are a very important part of Power House, they are not the be all and end all of it.' Clubs included rugby athletics, hockey, basketball, AFL, rowing. Gareth Evans attended in 1961. 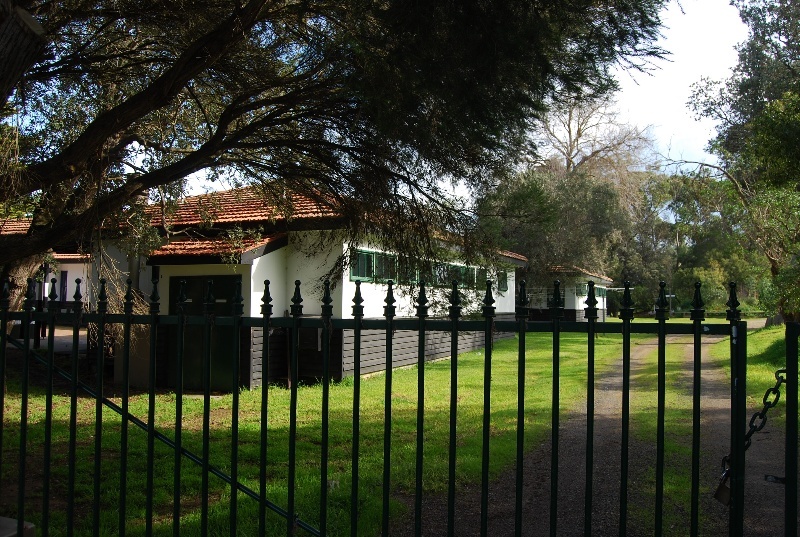 New Power House clubhouse built at Albert Park Lake in 1963 - the McAdam House. 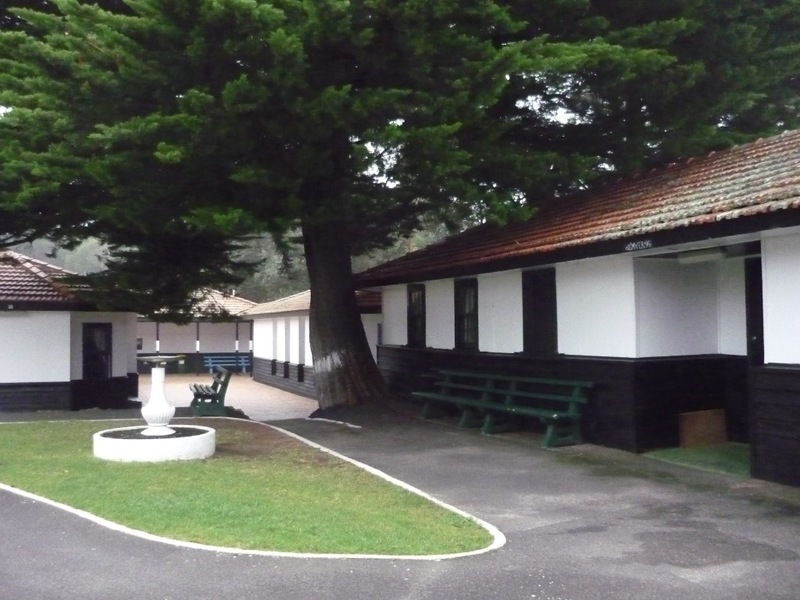 Established by the then Governor of Victoria, Lord Somers, in 1929 and first held at this purpose-built site in 1931, the annual camps aimed to build understanding between boys of different backgrounds. General Conditions: 1. All exempted alterations are to be planned and carried out in a manner which prevents damage to the fabric of the registered place or object. General Conditions: 2. Should it become apparent during further inspection or the carrying out of works that original or previously hidden or inaccessible details of the place or object are revealed which relate to the significance of the place or object, then the exemption covering such works shall cease and Heritage Victoria shall be notified as soon as possible. Note: All archaeological places have the potential to contain significant sub-surface artefacts and other remains. In most cases it will be necessary to obtain approval from the Executive Director, Heritage Victoria before the undertaking any works that have a significant sub-surface component. General Conditions: 3. If there is a conservation policy and plan all works shall be in accordance with it. Note: A Conservation Management Plan or a Heritage Action provides guidance for the management of the heritage values associated with the site. It may not be necessary to obtain a heritage permit for certain works specified in the management plan. General Conditions: 4. Nothing in this determination prevents the Executive Director from amending or rescinding all or any of the permit exemptions. General Conditions: 5. Nothing in this determination exempts owners or their agents from the responsibility to seek relevant planning or building permits from the responsible authorities where applicable. Minor Works : Note: Minor Works that in the opinion of the Executive Director will not adversely affect the heritage significance of the place may be exempt from the permit requirements of the Heritage Act. A person proposing to undertake minor works must submit a proposal to the Executive Director. If the Executive Director is satisfied that the proposed works will not adversely affect the heritage values of the site, the applicant may not be required to obtain a heritage permit. The process of gardening, including mowing, hedge clipping, bedding displays, removal of dead plants and replanting the same species or cultivar, disease and weed control, and maintenance to care for existing plants. Removal of dead or dangerous trees if the tree is an immediate risk to personal safety or damage to property. Management of trees in accordance with Australian Standard; Pruning of amenity trees AS 4373. Repairs, conservation and maintenance to roads, paths, edges, fences and gates, drainage and irrigation systems. Non-commercial signage, lighting, security, fire safety and other safety requirements, provided no structural building occurs. Painting of previously painted walls and ceilings provided that preparation or painting does not remove evidence of any original paint or other decorative scheme. Installation of new fire hydrant services including sprinklers, fire doors and elements affixed to plaster surfaces. The purpose of the Permit Policy is to assist when considering or making decisions regarding works to the place. It is recommended that any proposed works be discussed with an officer of Heritage Victoria prior to making a permit application. Discussing any proposed works will assist in answering any questions the owner may have and aid any decisions regarding works to the place. It is recommended that a Conservation Management Plan is undertaken to assist with the future management of the cultural significance of the place. The extent of registration protects the whole site. The addition of new buildings to the site may impact upon the cultural heritage significance of the place and requires a permit. The purpose of this requirement is not to prevent any further development on this site, but to enable control of possible adverse impacts on heritage significance during that process. The cultural heritage significance of the place lies is as an interwar youth camp, demonstrated by the site's bush setting, layout of buildings, parade ground and the two original buildings (B1 and B2). All of the registered buildings are integral to the significance of the place and any external or internal alterations that impact on its significance are subject to permit application.